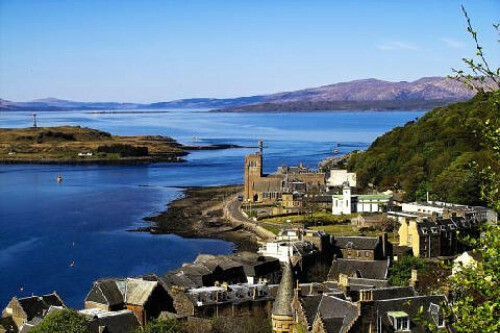 Oban lies at the centre of the northerly part of Argyll, known as Lorn, which stretches north as far as Appin, south to Ardfern and east to the shores of Loch Awe. 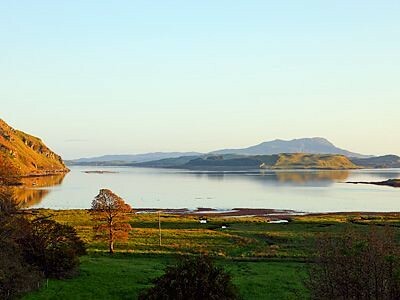 It also comprises several relatively peaceful islands, including Lismore, Kerrera, Seil and Luing. 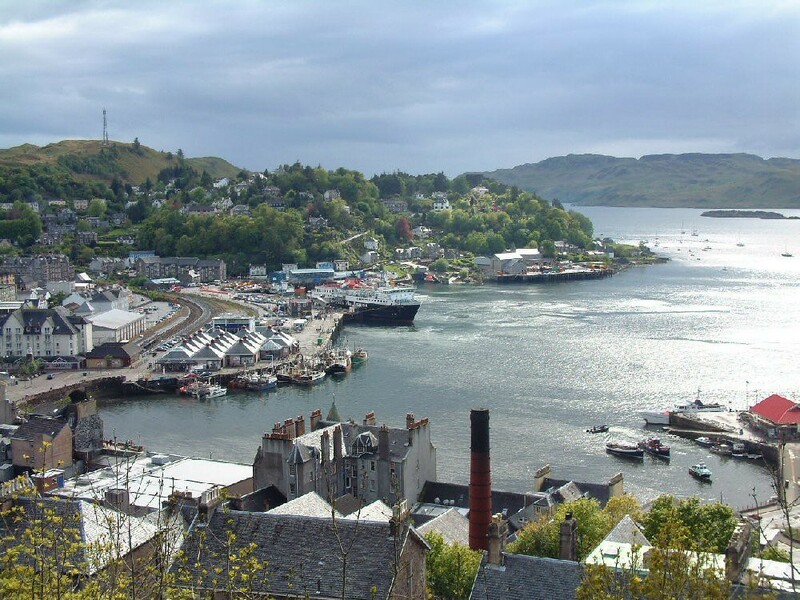 Oban's a busy little place: not only is it the largest port in north west Scotland and the main departure point for ferries to the Hebrides, it is also the main tourist centre in Argyll and the Sea Kayaking Capital of Scotland. Not surprisingly, it gets very crowded in summer, with passing traffic and people using it as a base for exploring the region. It has a wide range of hotels, guest houses, B&Bs, restaurants and shops, and a number of tourist attractions. 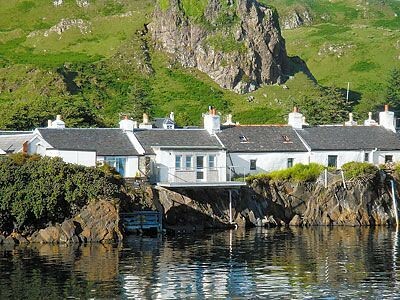 The town lies in the beautiful setting of a wide, crescent-shaped bay, backed by steep hills, with the island of Kerrera, just offshore, providing a natural shelter. 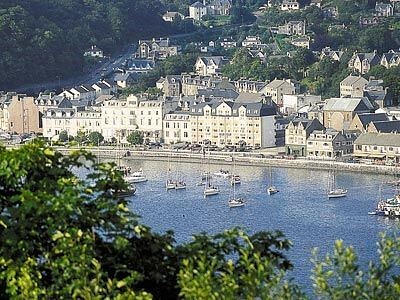 It has been a favourite with tourists since Victorian times, when Queen Victoria pronounced it as 'one of the finest spots we have ever seen'. More recent royal comments, made by Prince Philip (who else? ), in relation to the drinking habits of the local populace, have been less than flattering. 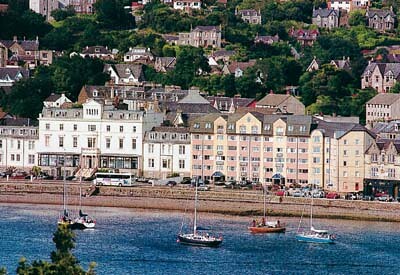 The best food in Oban can be found at the excellent Manor House Hotel. The Reservation, 108 George St, Tel. 563542. Very good bistro-style lunches and dinners and a wide vegetarian selection, open summer daily 1130-2200. 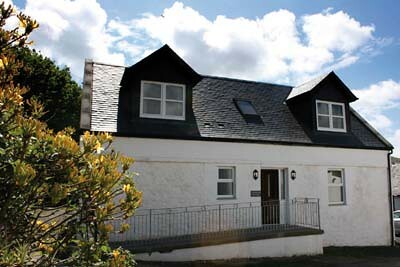 The Studio, Craigard Rd, Tel. 562030. Good-value 3-course set dinner and good à la carte menu, popular with locals, so you'll need to book, open daily 1700-2200 (cheap 'early bird special' served 1700-1830). Ee'usk Fish Café, George St, Tel. 565666. Good value for luscious fresh fish. Then name isn't meant to sound like you've just eating something nasty, it's actually the phonetic spelling of the word fish in Gaelic. Open daily 1200-1430 and 1800-2130. 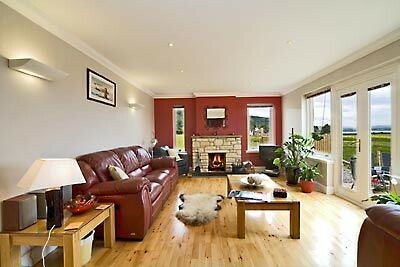 The Gathering, Breadalbane St, Tel. 564849. 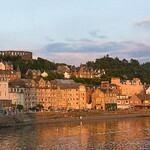 Good, honest home cooking in one of Oban's oldest restaurants. Downstairs is O'Donnell's. Bar meals are available at pubs and hotels, and there are the ubiquitous fish and chip shops, the best of which is Onorio's on George St. Café na Lusan, on Craigard Rd, Tel. 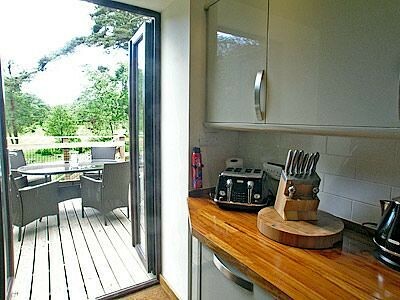 567268, is one of the few places offering veggie and organic food, with homebaking and a relaxed, welcoming atmosphere. Also internet access. Open daily 1100-2100 in summer, 1100-1800 in winter. The much-publicised McTavish's Kitchens, 34 George St, Tel. 563064. There's a self-service cafeteria downstairs (open from 0900) and the restaurant upstairs (open 1200-1400 and 1800-2230) has a 'Scottish Show'. 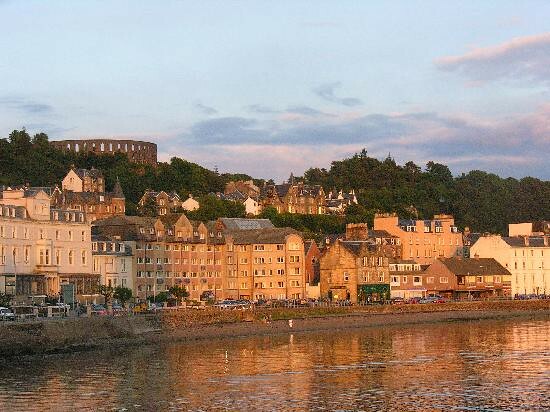 The town is not exactly the party capital of Scotland, so don't expect much in the way of late-night diversion. Your best bet is O'Donnell's, beneath The Gathering an Irish pub which has live music most nights, including ceilidhs. Serves bar meals till 2300 and stays open till 0100. 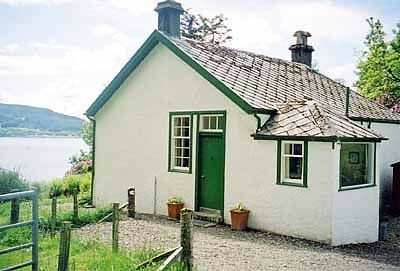 There's also Scottish music and dancing every night at McTavish's Kitchens May-Sep 0830-2230. 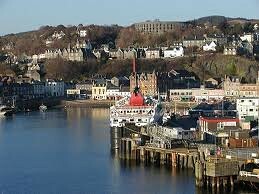 Otherwise, there's the Oban Inn, by the north pier, which is the nicest pub in town and serves bar food. 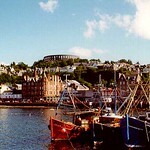 Check out the weather forecast for Oban! 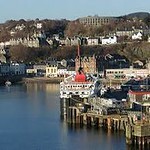 Oban is reasonably well served by buses and trains from Glasgow, Fort William and Inverness, and there are a number of west coast local bus services to and from Lochgilphead, Dalmally and Kilmartin. 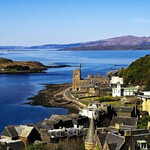 There are regular local buses around town and around Lorn, including to Clachan Seil, North Cuan, Isle of Luing, North Connel, Dalavich, Bonawe, and Ganavan Sands. These are mostly operated by West Coast Motors, Tel. 01586-552319. 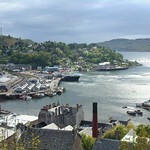 The Tourist Information Centre is on Argyll Sq, Tel.01631-563122, and has internet access. Open year round daily Mar-Oct 0900-1700, Nov-Feb 0930-1700. 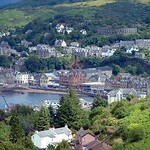 There are regular daily buses to and from Fort William via Benderloch and Appin (1 3/4 hrs) with West Coast Motors, Tel. 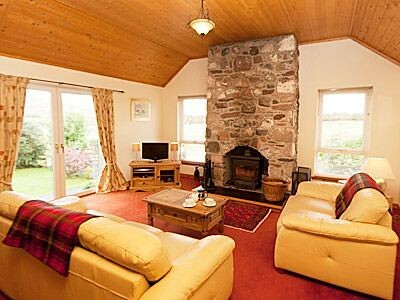 01586-552319, Highland Country Buses, Tel. 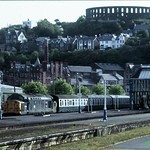 01463-233371 and Oban District Buses, Tel. 562856. There's a regular daily service to and from Glasgow (3 hrs) with Scottish Citylink Coaches, Tel. 08705-505050, and to Inverness (1 1/4 hrs). There are regular daily buses to and from Dalmally, via Cruachan Power Station, Lochawe and Taynuilt Hotel, operated by Scottish Citylink, Awe Service Station, Tel. 01866-822612 and LF Stewart, Tel. 01866-833342. 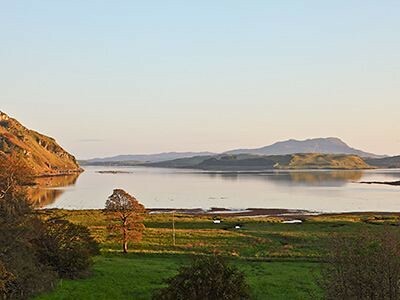 There's a service to Lochgilphead, via Kilmartin, a couple of times a day (Mon-Sat), operated by Oban & District, Scottish Citylink and West Coast Motors. Flit Van & Car Hire, Glencruitten Rd, Tel/Fax. 566553. Practical Car & Van Rental, Robertson's Motor Repairs, Lochavullin Industrial Estate, Tel. 570900. Hazelbank Motors, Lynn Rd, Tel. 566476, Fax. 566783. 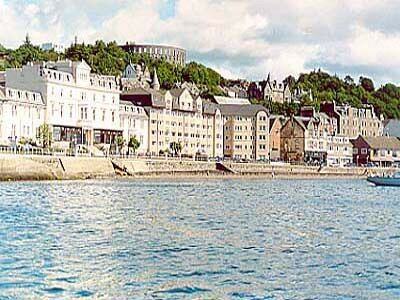 Oban is the main ferry port for many of the Hebridean islands. The CalMac ferry terminal, Tel. 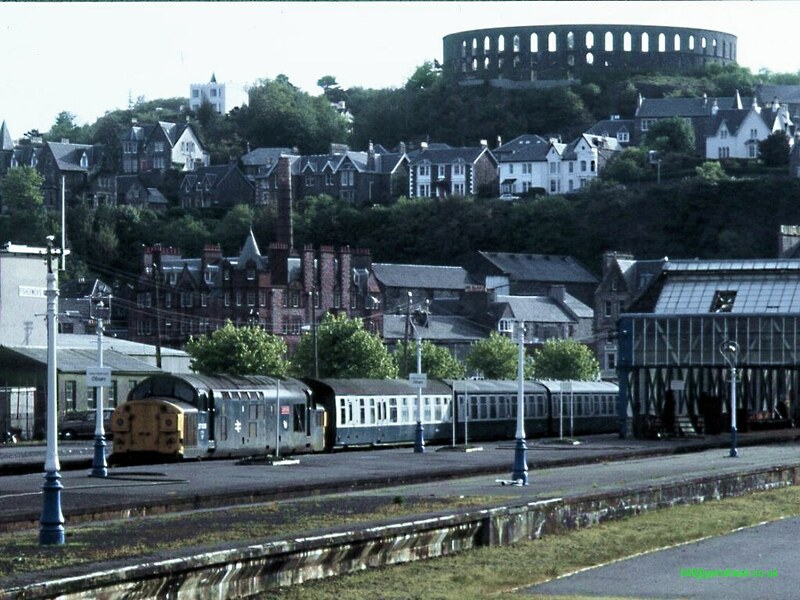 566688, is on Railway Pier, to the south of the town centre. Only 100 yds away is the train station, Tel. 563083, which is next to the bus terminal. 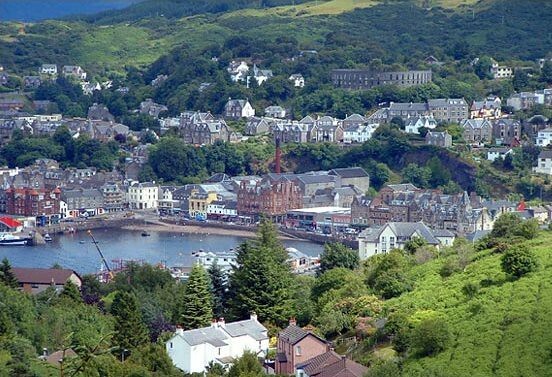 There are 3 trains daily to Glasgow, via Crianlarich, where the Oban train connects with the Mallaig/Fort William-Glasgow train. For times, contact Scotrail (Tel. 08457-484950). 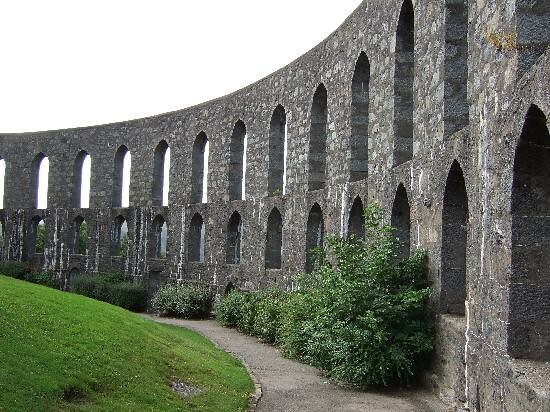 The town's great landmark is McCaig's Folly, an incongruous structure that resembles Rome's Coliseum and which dominates the skyline. The tower was built by local banker John Stuart McCaig in the late 19th century, as a means of providing work for unemployed stonemasons. Unfortunately, McCaig died before the project was complete, and to this day no one is quite sure of his intentions. There's not much to see, apart from the exterior walls, but the views of the town and bay are quite magnificent and well worth the climb up. There are various routes on foot, but the most direct is to go up Argyll Street and on the left beside the church climb the set of steps known as Jacob's Ladder, which lead to Ardonnel Terrace. Turn left here and the tower soon comes into view and is well signposted. 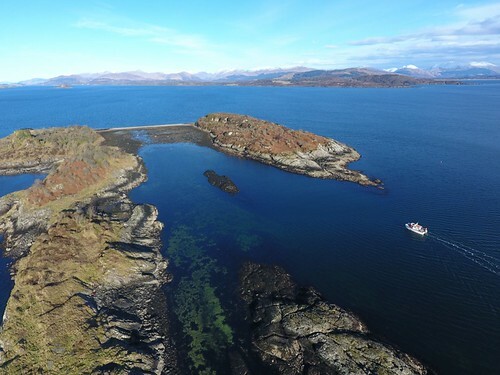 Another good walk is to the ruins of Dunollie Castle, north of town on the Corran Esplanade towards Ganavan, from where there are also wonderful views. 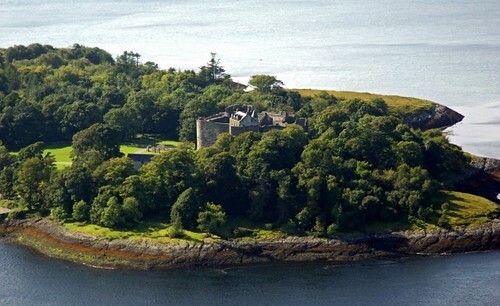 The castle was built on the site of an ancient stronghold of the King of Scots, and was then taken over in the 13th century by the MacDougalls, Lords of Lorn. Continue round the corner to Granavan Sands, a long, safe sandy beach about 11/2 miles north of the town, for the romantic west coast sunset. Three miles north of Oban, off the A85,is the impressive 13th century port with much of its towering curtain wall still intact.The ruins of the little chapel nearby are worth a look.Long before this castle served as a temporary prison for Flora MacDonald, it is believed that the site was used to keep the original Stone of Destiny. Apr-Sep daily 0930-1830; Oct daily 0930-1630, Nov-Mar Sat-Wed 0930-1630, Castle grounds open all year round, £3, concession £2.30, children £1.30. Tel. 562465. 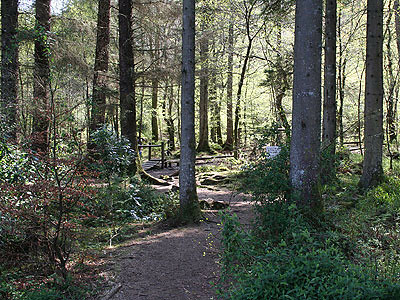 Two miles east of Oban along the Glencruitten Road is the Rare Breeds Farm Park. Part of a working livestock farm and complete with tea-room. It's a fun place, especially for kids, with lots of strange-looking, yet familiar animals native to these shores. The animals are in pens, or roam free, and are very friendly and approachable. 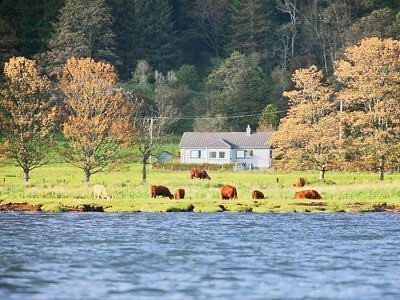 There are regular buses run to the farm from Oban train station. 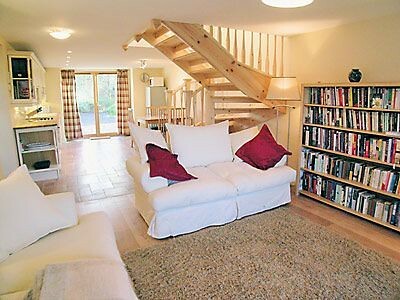 Mid Mar to late Oct daily 1000-1800, £6, concession £5, children £4. 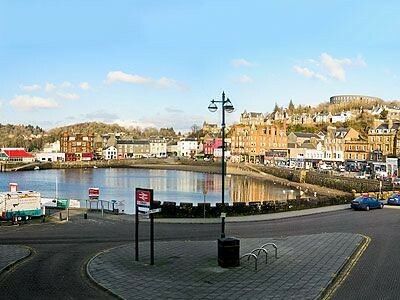 There are 3 buses daily Mon-Fri to and from Oban train station. Tel.770608. 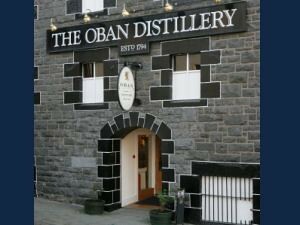 If the weather's bad you can take a tour round the excellent Oban Distillery, at the end of Stafford Street, which is opposite the North Pier. Easter-Jun Mon-Sat 0930-1700, Jul-Sep Mon-Fri 0930-1930; Sat 0930-1700, Sun 1200-1700, Oct Mon-Sat 0930-1700, Nov Mon-Fri 1000-1700, Dec-Feb Mon-Fri 1230-1600. Mar Mon-Fri 1000-1700. £5. Tel. 562110. 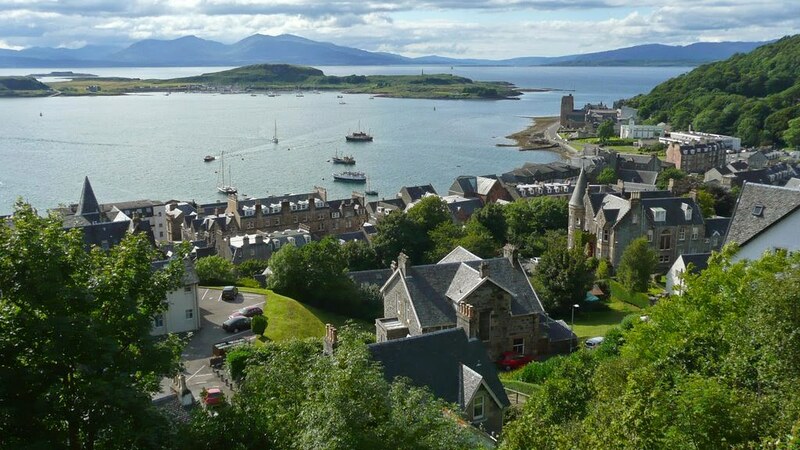 It has a wide collection of artefacts and it is staffed by enthusiastic volunteers, it deplays the story of Oban's role in the Second World War through a fascinating display of old photos and memorabilia. Mon-Sat 1000-1800, Sun 1000-1600, free. Tel.01631-570007. 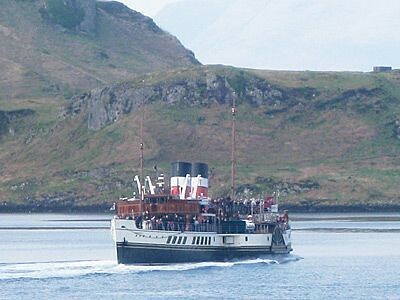 Boat trips can be made from Oban, to Mull, Iona, Staffa and The Treshnish Islands with Gordon Grant Tours, on Railway Pier, Tel. 562842. There are other boat operators around the harbour, on the North, South and Railway Piers. 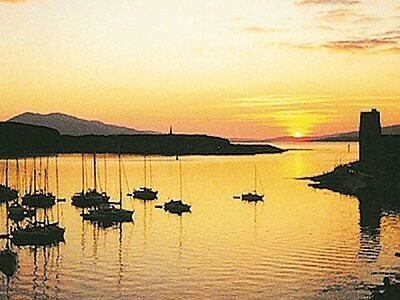 You can also rent boats from Borro Boats, Dungallan Parks, Gallanach Road, Tel. 63292. 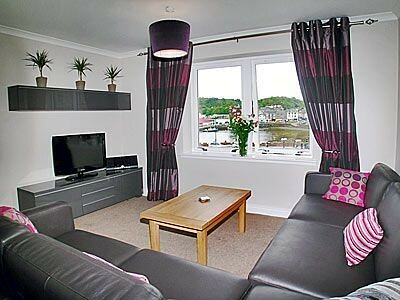 For more details on Oban hotels and accommodation click here. Venerable old distillery built in 1794 and rebuilt in 1883. Guided tours available. 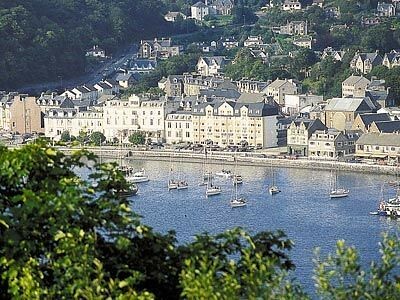 There's no shortage of hotels, guest houses and B&Bs, most of which are very reasonably priced, and many of which are on or near the seafront. 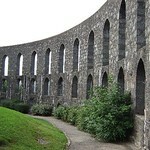 There are also lots of B&Bs in the streets below McCaig's Folly. 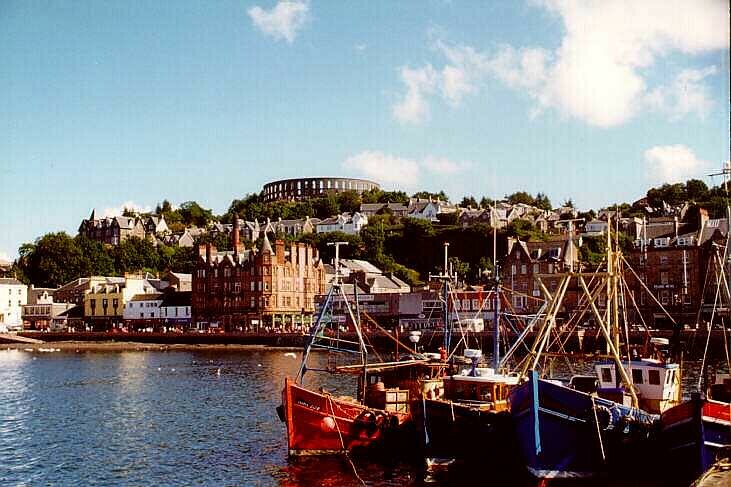 Though it shouldn't be a problem finding a room for the night, Oban is the main ferry port for the islands and gets very busy in the summer with through traffic. It's often a good idea to get the tourist office to find a place, which costs a little more, but can save a lot of time and effort. There are dozens of B&Bs on Ardconnel Rd. Caledonian Hotel, Station Sq, Tel. 563133, Fax. 562998, 70 rooms. Huge old Victorian Gothic building which is hard to miss. Full of 'character', which hides a multitude of sins, but it's very handily placed for the ferry and train station. Manor House Hotel, Gallanach Rd, Tel. 562087, Fax. 563053. 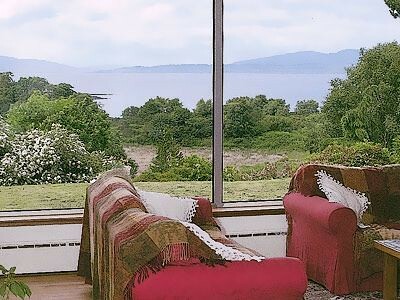 11 rooms, open Feb-Dec. Overlooking the bay on the road south out of town towards the Kerrera ferry. 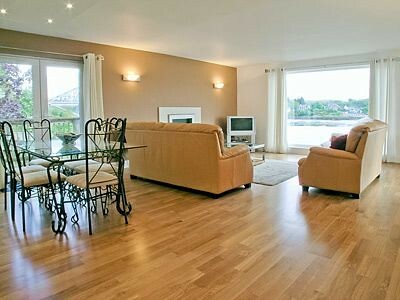 Offers comfort, style and superb cuisine. 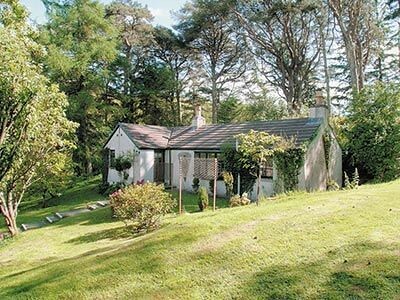 Dungallan House Hotel, Gallanach Rd, Tel. 563799, Fax. 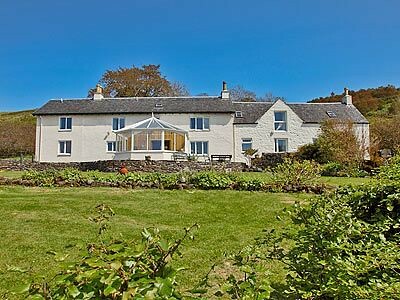 566711, 13 rooms, open Jan, Mar-Oct and Dec. A Victorian house set in 5 acres of woodland, offering great views, hospitality and fine food. 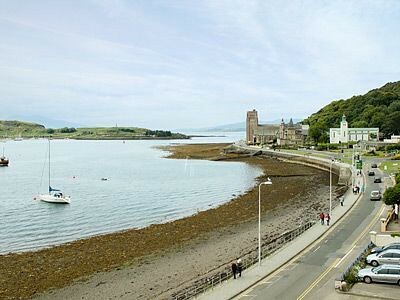 Barriemore Hotel, Corran Esplanade, Tel/Fax. 566356. 13 rooms, open Mar-Nov. More of a guesthouse, and a superior one at that. Victorian style and elegance coupled with great views and a friendly atmosphere mean that this is much more than all right. 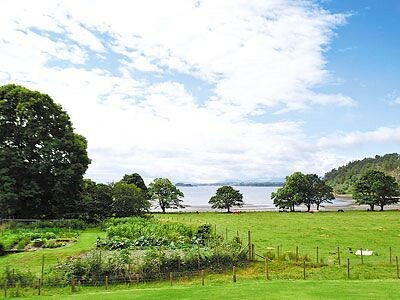 Glenburnie Hotel, Corran Esplanade, Tel/Fax. 562089. 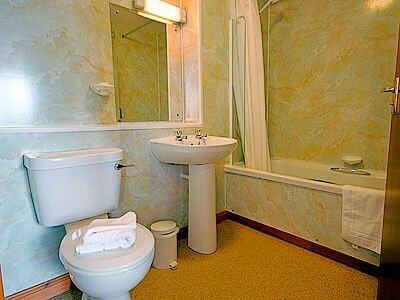 15 rooms, open Apr-Oct. Another very good guesthouse along the seafront, which is lined with more upmarket guest houses and small hotels. 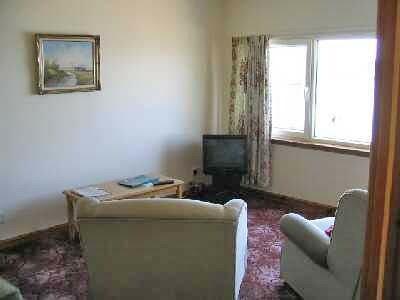 Glenbervie Guest House, Dalriach Rd, Tel. 564770, Fax. 566723. 8 rooms. 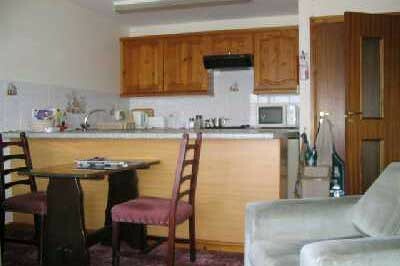 Lovely Victorian house high above the town on a street full of good quality accommodation, very good value. 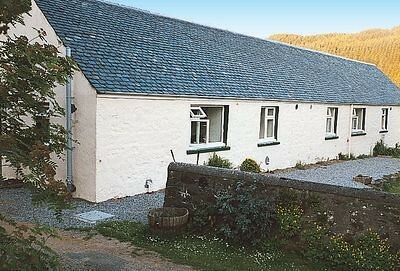 The official SYHA Youth Hostel, Tel. 562025, open all year from Mar, is on Corran Esplanade, just beyond St Columba's Cathedral. 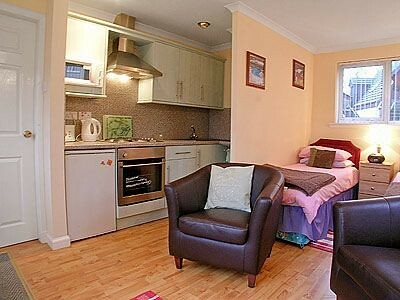 Cheaper and more central is the independent hostel, Oban Backpackers, Tel. 562107, on Breadalbane St. Open Mar-Oct and Dec 21-Jan 14. 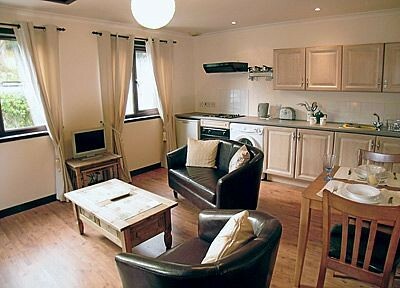 Cheaper still and with breakfast included is the much smaller and quirkier Jeremy Inglis Hostel, Tel. 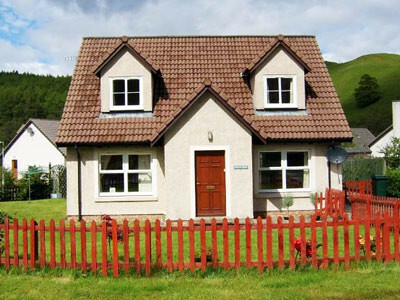 565065, at 21 Airds Cres, opposite the TIC. 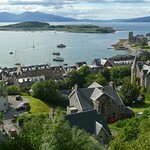 There are 2 campsites nearby: the Oban Divers Caravan Park, Tel/Fax. 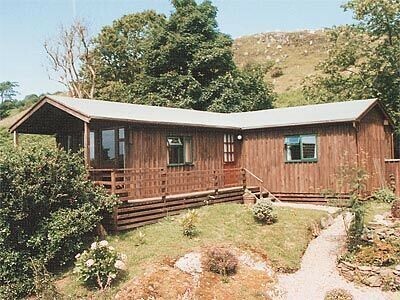 562755, open Mar-Nov, on the Glenshellach Rd, about 1 miles south of the ferry terminal; and the Oban Caravan & Camping Park, Tel. 562425, Fax. 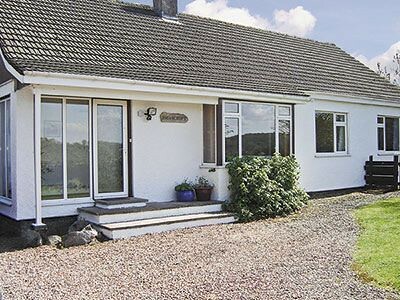 566624, open Apr to mid-Oct, on Gallanach Rd, 2 miles south of town near the Kerrera ferry. Barcaldine Castle - a 4 star historic castle. 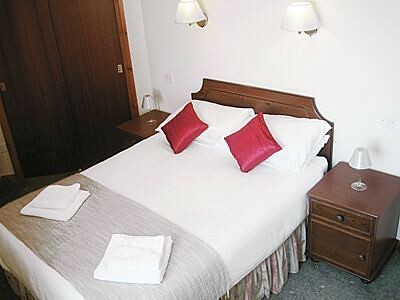 You can spend the night in the castle in their elegant, opulent rooms; Tel. 720598. 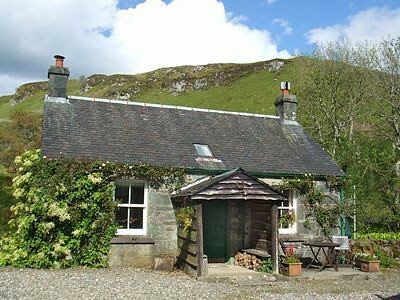 If the thought of a night in a haunted castle doesn't appeal, there are several B&Bs in the village of Benderloch. 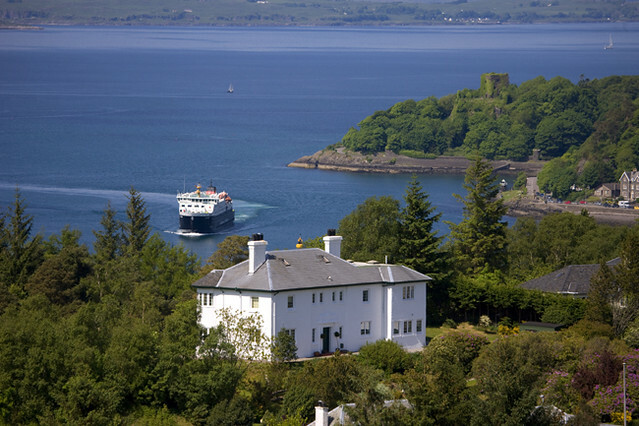 If money's no object, then treat yourself to the luxurious Isle of Eriska Hotel, Tel. 720371, Fax. 720531. 17 rooms. 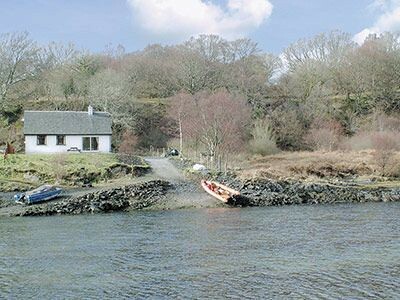 Argyll's only 5-star hotel, situated on its own private 300-acre island off the northern point of Benderloch.